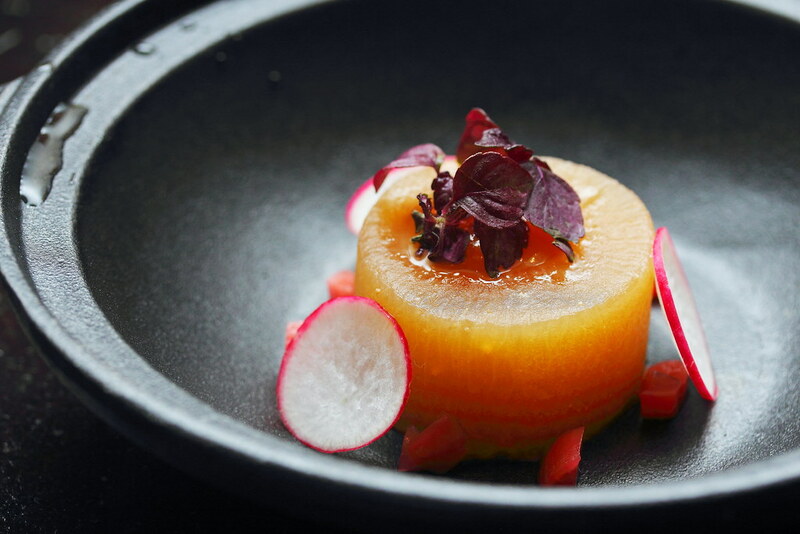 Pyxiemoss is a new modern European cuisine restaurant spearheaded by Chef Tim Ross-Watson that has taken over the defunct D'Bell at North Canal Road. Pyxiemoss is derived from Pixie Moss, the only flowering moss over 12,000 species. It alludes the restaurant's aspiration to blossom and flourish in the competitive F&B industry. 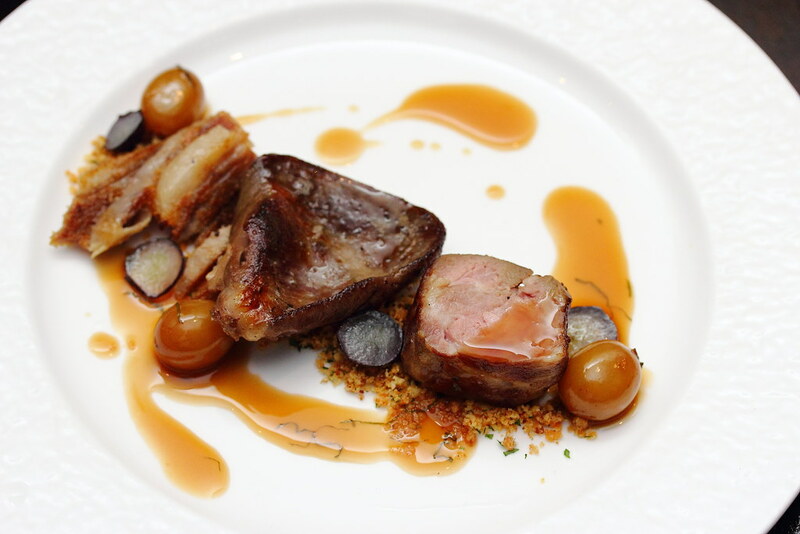 The cuisine here offers a flair of British with Asian influenced, using both traditional and modern cooking techniques to transform simple daily ingredients into novel dishes. The restaurant is kind enough to give a glimpse of the bar snacks offering which are only available after 10pm. We tried both the Pigaroon ($3) and Carrot Dog ($5/pc). The pigaroon is interestingly presented in a flower pot. 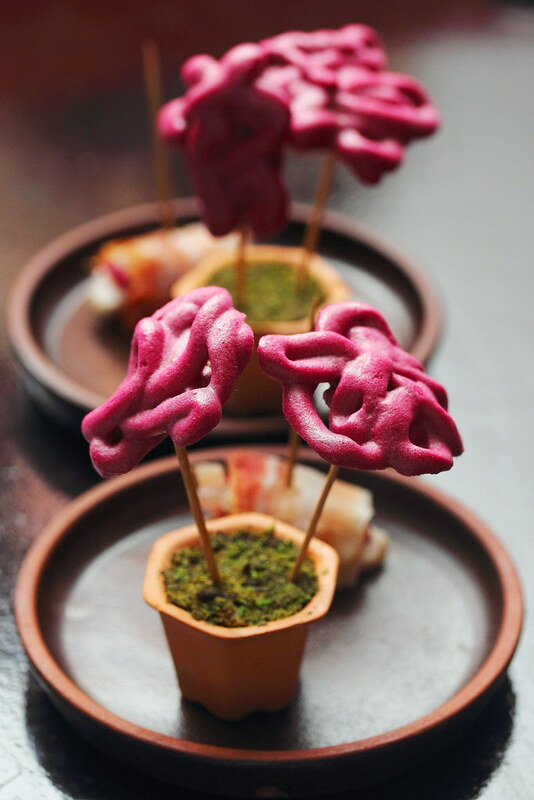 What is on the plate is actually ethereal beetroot macaron swirl paired with pickledpig skin with cream cheese encased in pork belly and smoked bacon on a stick. Carrot Dog sounds like a weird dish but the vegetarian interpretation of the hot dog actually works. 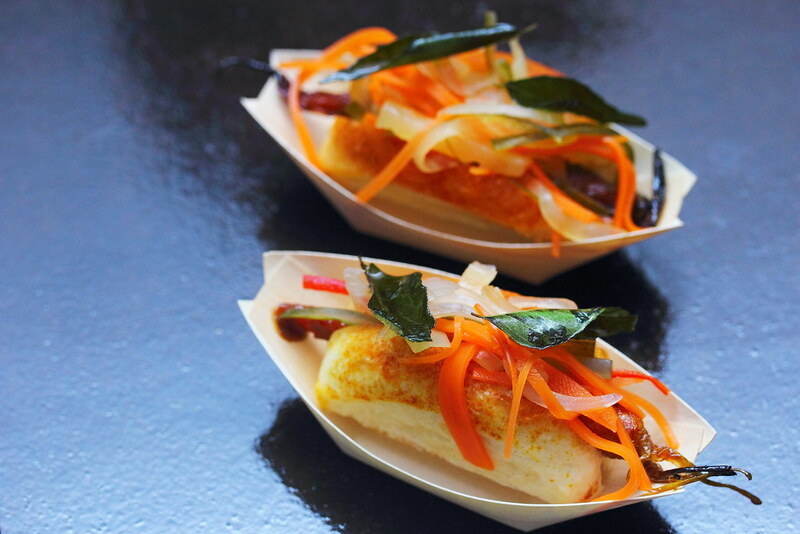 The char grilled baby carrot is sandwiched between the soft and pillowy focaccia, and topped with achar and curry leaves. The whole combination of sweet and sour worked harmoniously for a delightful bite. 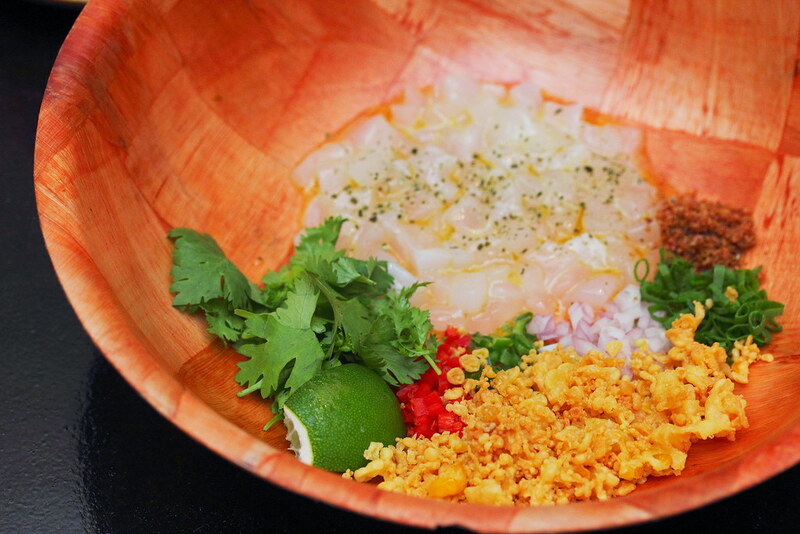 The Seaviche ($8) is an interesting twist substituting raw seafood with fresh sea coconut. 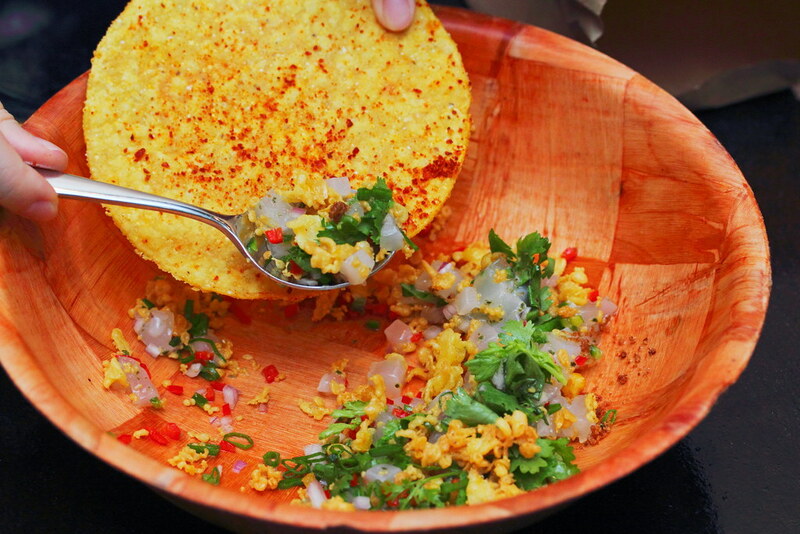 Give the dish a good toss and have it together with the hickory-smoked corn chips. Even with the squeeze of the lime, I still find it lacked the punch that you get from the traditional ceviche, missing that strong tangy and spicy burst of flavours. One of my favourite dish at the new Pyxiemoss is The Tribbiani ($15). The yellow dome shape thing on the plate is actually duck liver mousse. The silky and creamy duck liver mousse is paired with crunchy focaccia chips and pedro ximenez soaked medjool date jam. 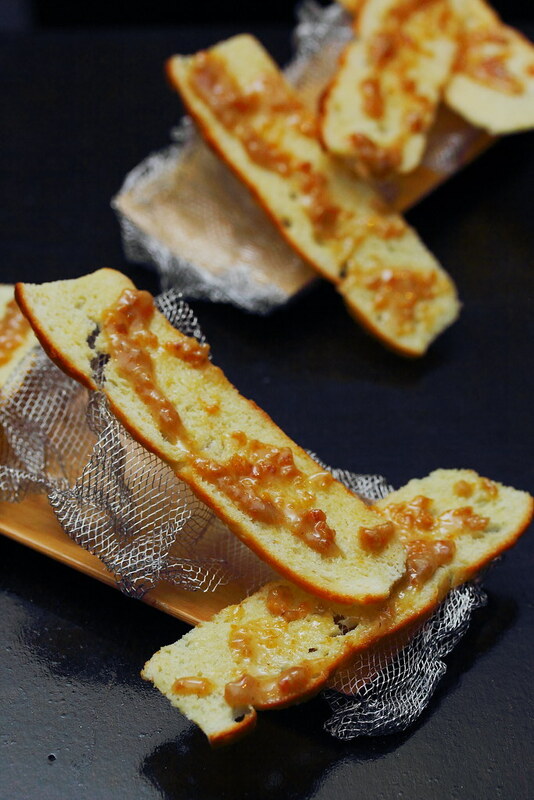 A luscious dish which is truly an indulgent. A light and refreshing dish on the menu is the Cofflee Lox ($18). 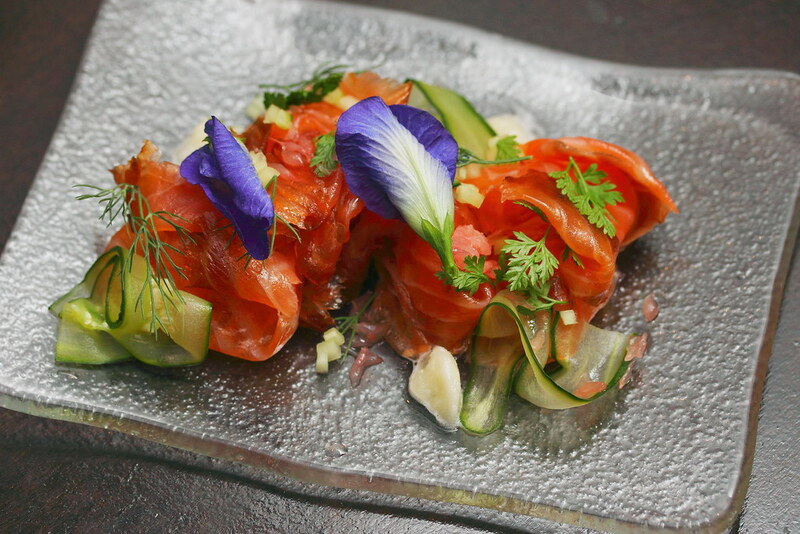 The thinly sliced Norwegian salmon is cured using upcycled coffee grinds. This is perfectly matched with fresh chervil, cucumber, refreshing green apple sorbet and freeze dried grapefruit for acidity. A well thought and balanced dish. This may sounds simple but the Rad-ish ($8) is actually braised thrice before serving to the table. It is first braised in salt water, then miso water and lastly onion broth to expel its bitterness. 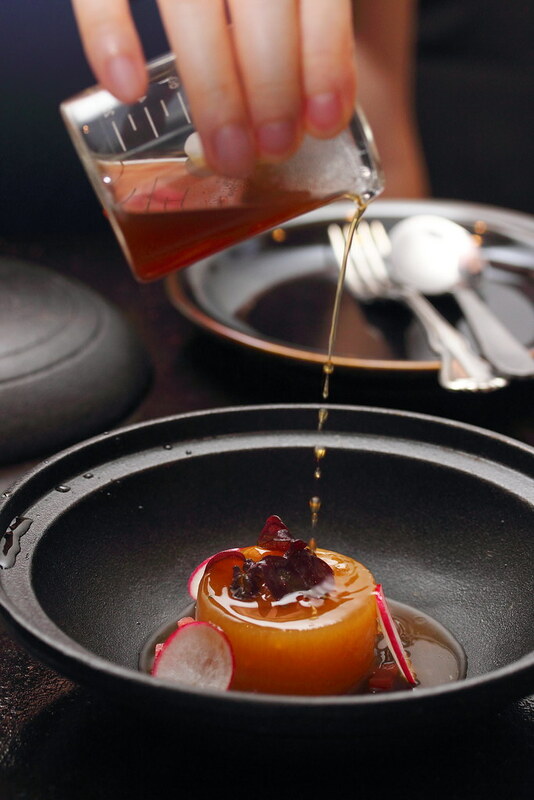 A robust onion consomme is pour over the radish wheel at table which is topped with yuzu miso and pickled red radish. You can choose to have chopped wagyu beef for an additional $4. A dish that I never thought I would enjoy is Not Just The Tip ($14). A smart dish which makes use every part of the celery, not just the tip. 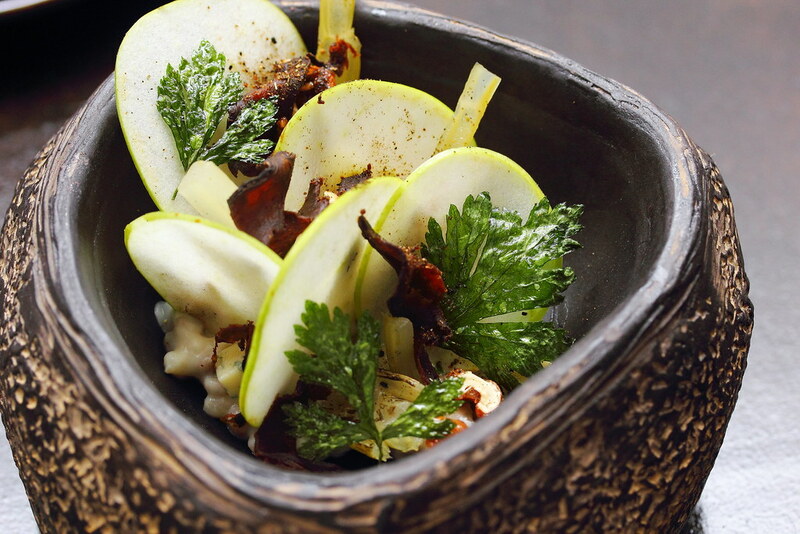 A rift on the Waldorf salad, the dish uses the root, leaves, stem and the tip of the celery for different textural enjoyment of the whole celery. 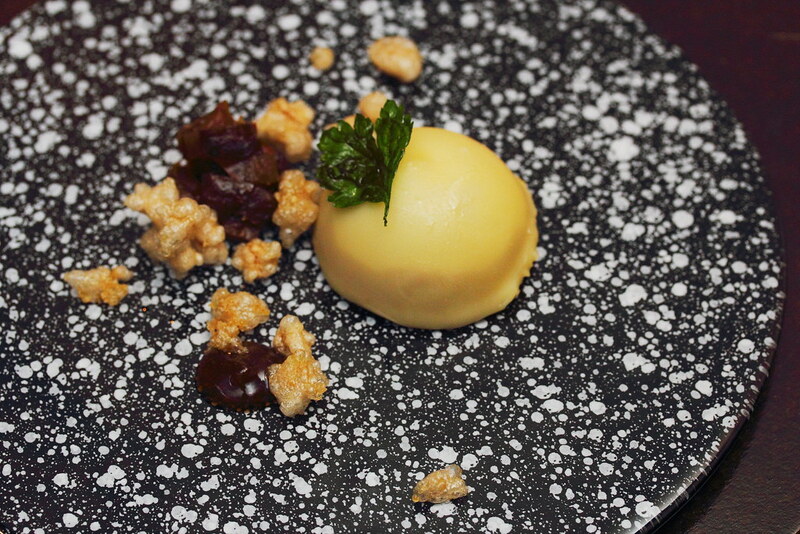 It is further paried with barley risotto, green apple, candied walnuts and stilton cheese to bring the dish together. The Mother's Lamb ($18) demonstrates Chef Tim's bold approach to food, upcycling usually-discarded parts of select produce. On the plate, is tandoor oven cooked lamb hearts and neck, with two sinful slabs of lamb bacon. The touch of having carbonated green and purple champagne grapes is very thoughtful, which helps to cut through the richness perfectly. Ending the meal on a sweet note, we have the Pina Colada ($10) and Snickerz ($10). The Pina Colada is a deconstructed rendition of the popular cocoktail's key ingredients. 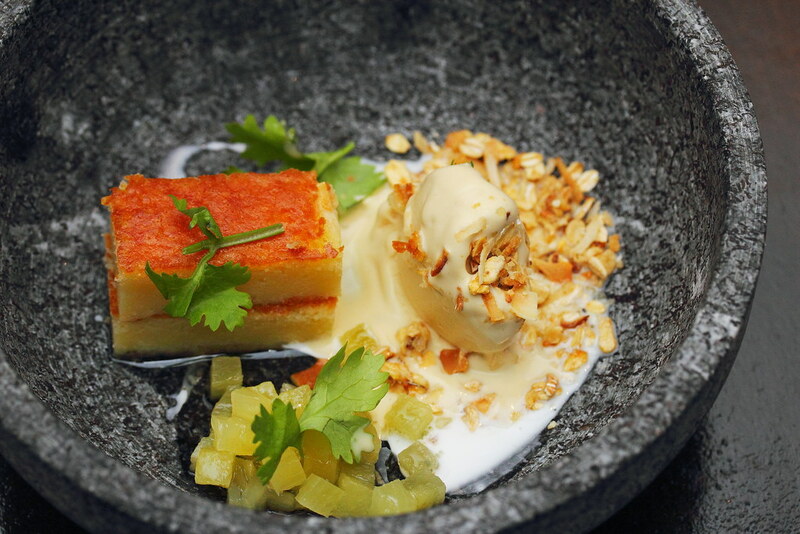 In the bowl, the components consider of fermented young coconut cake, coconut granola, salted coconut cream, compressed pineapples in extra virgin olive and a creamy caramelised pineapple ice cream. A light and refreshing dessert that suit my palate. The other dessert, Snickerz ($10) is a rich and heavy glutinous rice brownie which comes with pavlova-like salted gula melaka cream . It is both chocolatey and chewy. 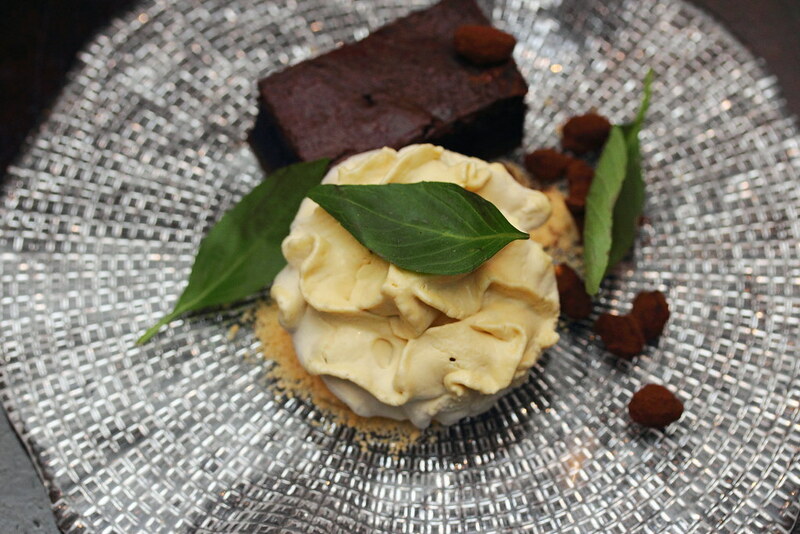 I did not quite like the texture of the brownie. However the nuggets of caramelised peanuts rolled in homemade Snickers-inspired powder got my attention. Overall, I have enjoyed my dining experience at Pyxiemoss. I find Chef Tim has brought something fresh to the table. You never know, the pixie moss may actually blossom and flourish into one of the best new restaurants this year.